Bucharest the capital of Romania, as the country famous for its Dracula story, many people visit Transylvania, and just passed this city. 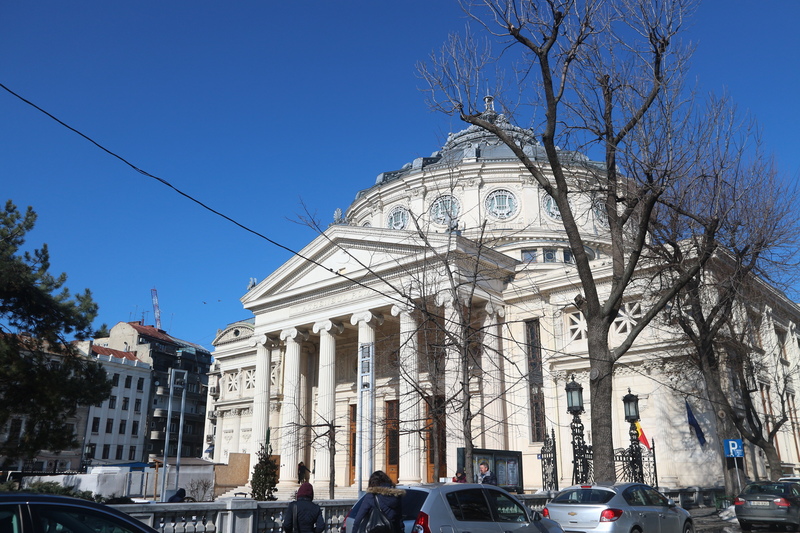 However, Bucharest as the capital of this country offers a different story, imagine we can see different churches to the typical French art deco architecture in Bucharest. My trip to this fabulous city, begin from Brasov with Romanian Train which relatively cheap and qualified. After traveling from Brasov, approximately 3 hours, we have arrived at Gara De Nord Train Station safely. However, that morning feels so cold but the sun bright so lightly. 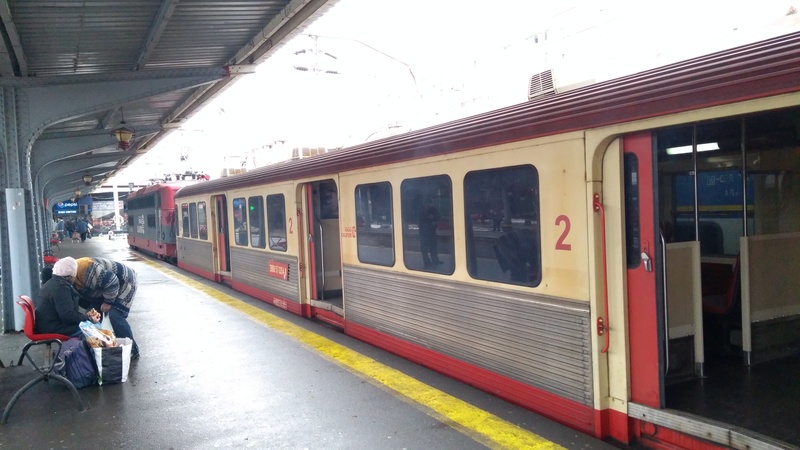 We continue our journey to the Old Town by using the subway, which is also very convenient and cheap. At last, we stopped at Old Town station where our hostel that previously reserved the hostel name was Antique Hostel. 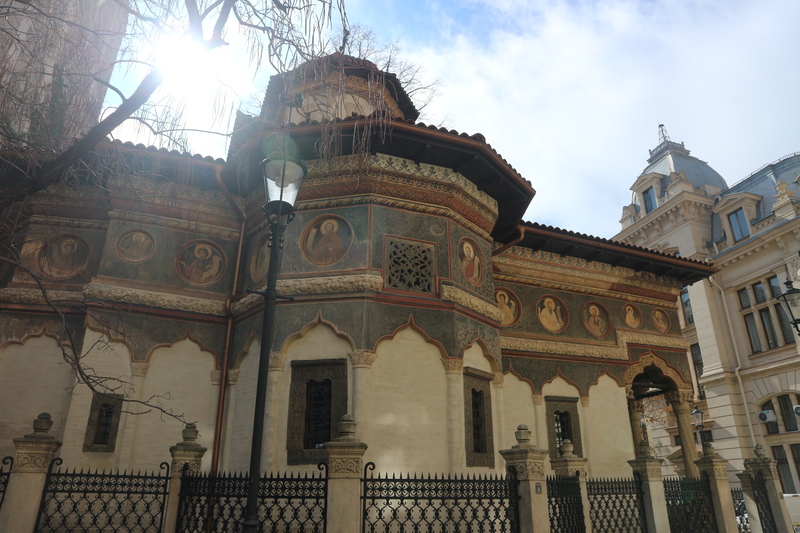 The Old Town district in Bucharest is the touristy place that is visited the most. Most of the city’s attractions located within this small district. Here, you can feel like you’re in Paris for a moment. However, a little bit different from Paris – more rough, neglected and shabby. But it also has right sides – it gives the city some character, determines and displays the hardship and difficult times it’s gone through. 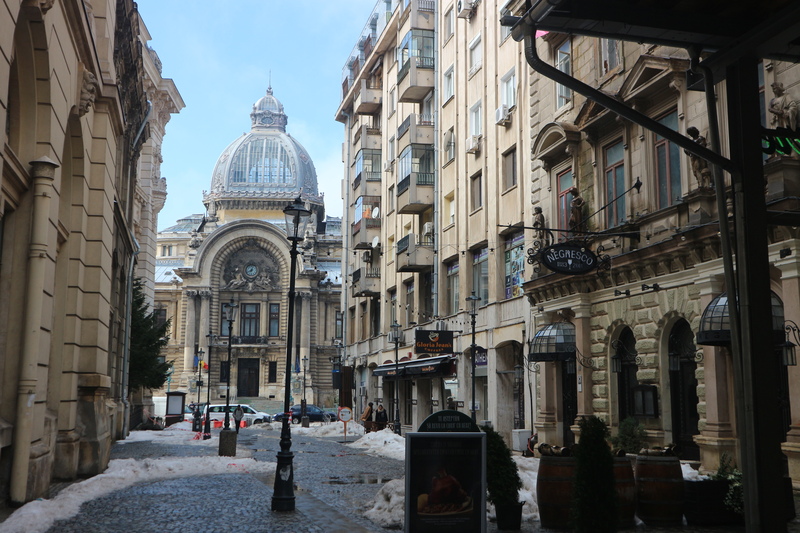 Overall, Bucharest, although not a wrong place to see, was my favorite place in Romania, just as in most Eastern Europe countries – the capitals seem not as unusual as the rest. Here are, a few landmarks I have been seen on my way to explore the Old Town. This old orthodox church, in my opinion, looks like a Jedi Temple. Hmmm maybe you’ll be impressed, this iconic church situated in the heart of old town was built in the first decades of the 18th century and even today one of the most beautiful church from Bucharest. I never imagined that this neoclassical building would be a bank. C.E.C Palace is a national saving bank in Romania. 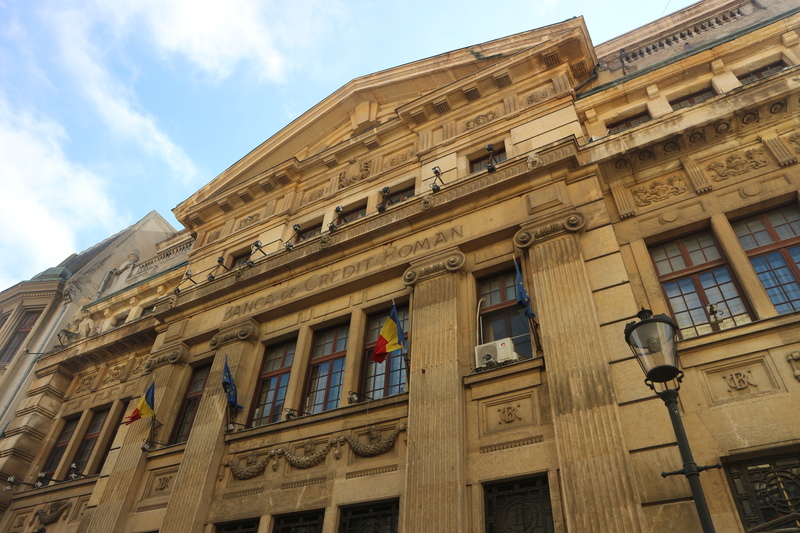 The construction works started in 1897, and the building inaugurated in 1900 with French Renaissance style, which is one of the most graciously beautiful buildings in Bucharest. 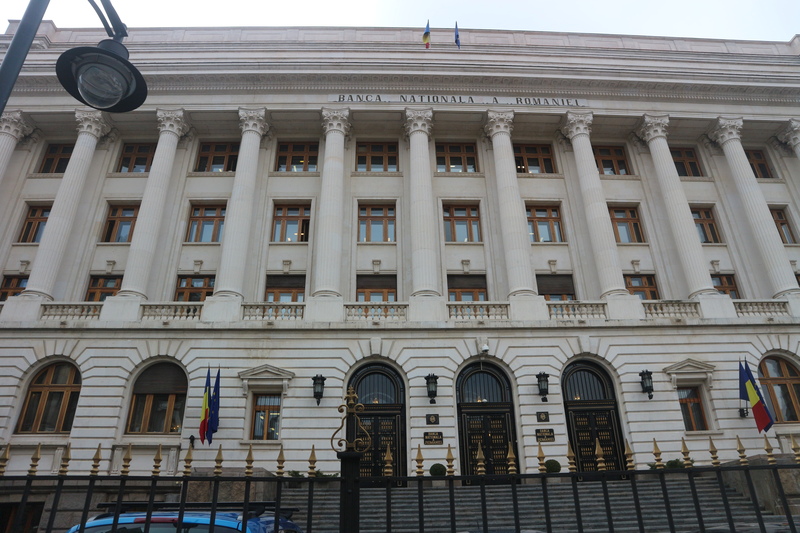 According to Bucharest website, a unique feature of this structure refers to the glass and metal dome (the central dome, and the largest of all the other arches which overtop the four corner sections of the building) set on top of the main hallway. The overall picture of the C.E.C. Palace exudes, first and foremost, elegance and balance. The interior of the palace embellished with graphic works by Mihail Simonide. However, its aesthetic qualities aside, according to Romanian Tourism website, the C.E.C. Palace is said to feature one of the most solid bearing structures of all the buildings in Bucharest; a reputation put to the test, amongst others, during the 1977 earthquake, when the glass dome was the only element affected, with little and insignificant damage to the rest of the building. 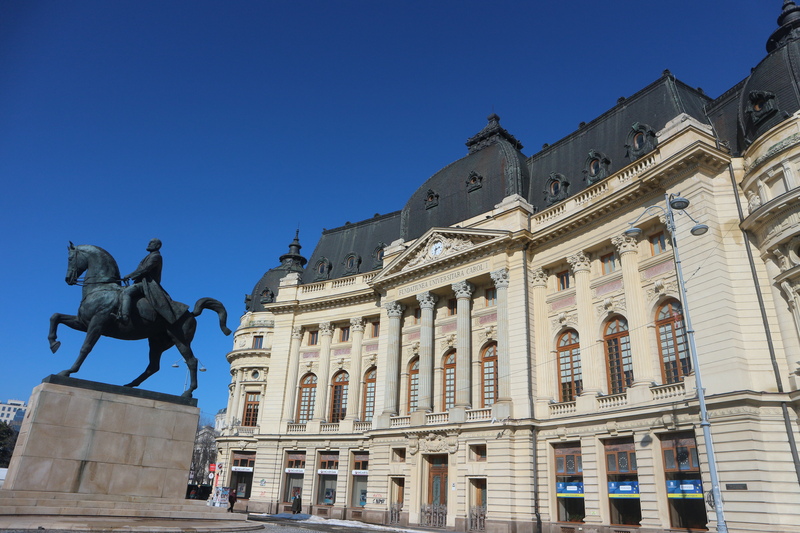 In the 19th century, the financial banking was very famous in Bucharest. For example, two banks were becoming the commercial bank, as we mentioned before, C.E.C Palace which belongs to C.E.C Bank. 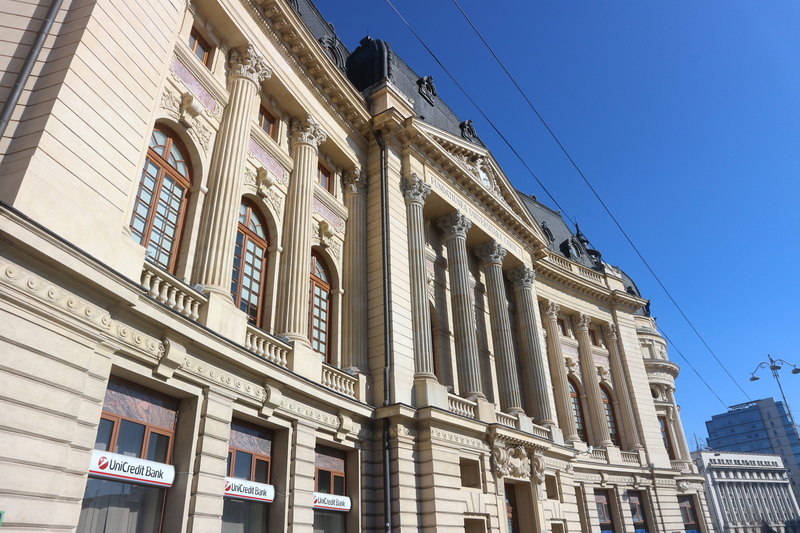 The National Bank of Romania is another charming and magnificent building with a lot of renaissance architecture. 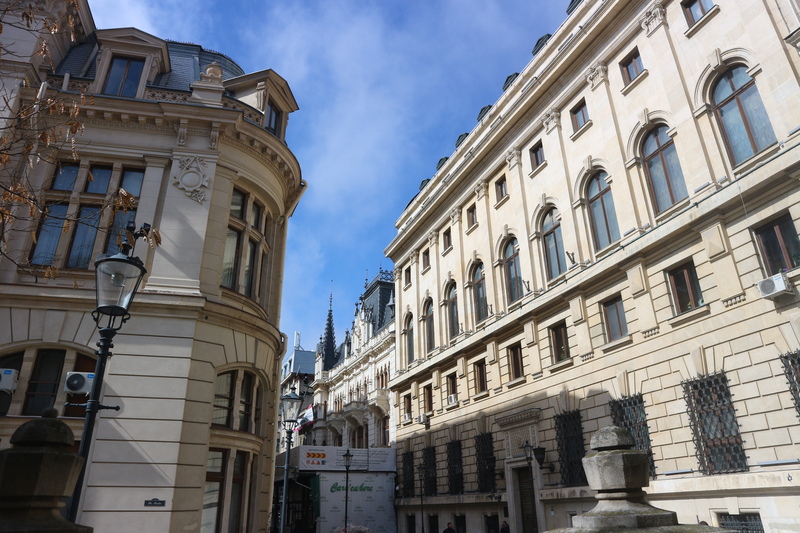 This bank declared one of the most beautiful banks in Europe hosts an impressive collection of coins and money collection. Today this bank serves as a museum. 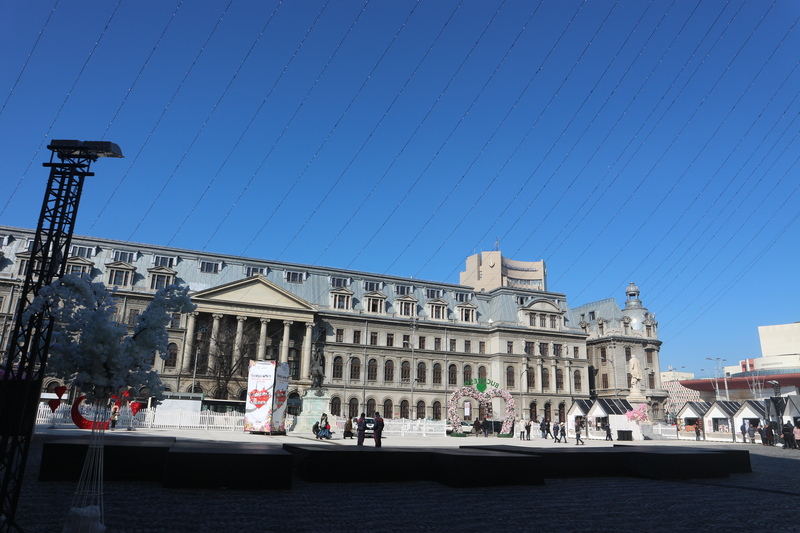 After strolling around Romanian financial district, I founded another dome with beautiful architecture. 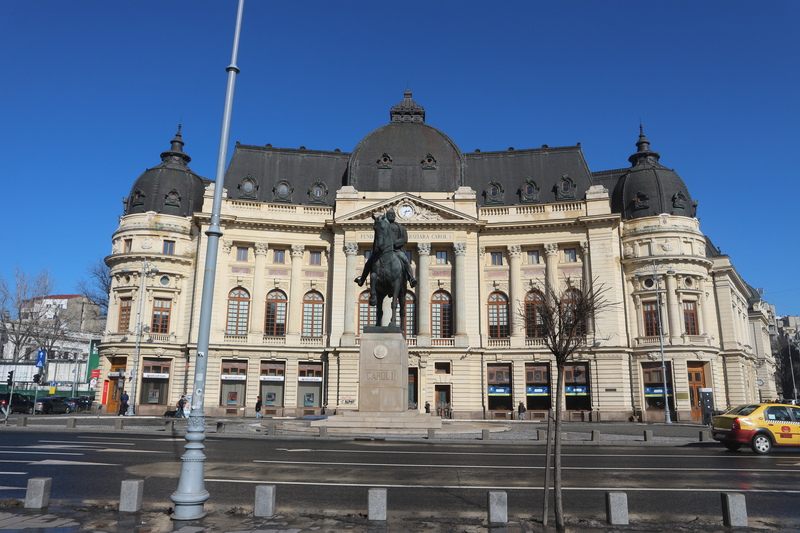 Wow, it’s so stunning, it was Romanian Anthenaeum, another beautiful building which built as a concert auditorium. Based on information written in romanianmonasteries.org, the Romanian Athenaeum is formed from a peristyle of six columns in Ionic style, giving the impression of a Greek temple, under which there are, in medallions, the faces of five voivodes of Romania: Neagoe Basarab, Alexandru cel Bun, Vasile Lupu, Matei Basarab and King Carol I. A team of architects gave the dome’s initial former and engineers after Galleron handed the project. Finally, the building where my favorite was Central University Library. The first impression, I never thought that this palace is a library, I guessed that this must be a castle and yes it’s wrong. 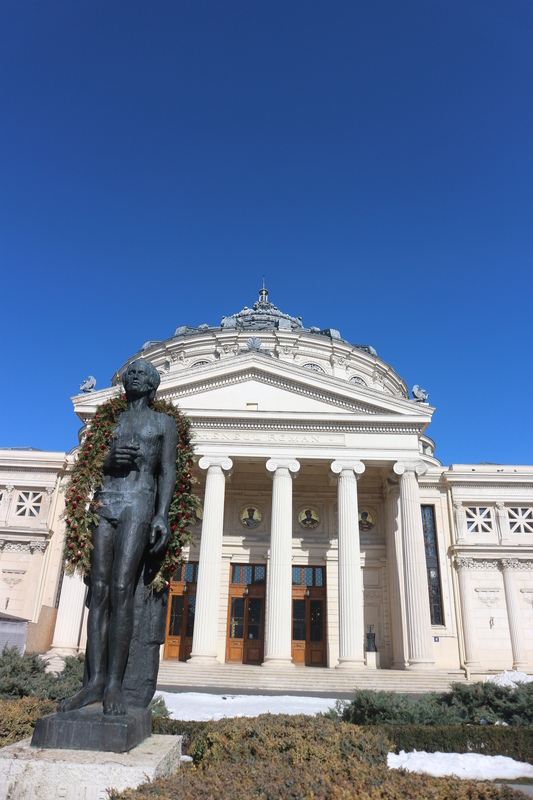 In front of the statue of King Carol I, this library founded by the first king of Romania, Carol I, whose figure admired in front of the building. It burned down during the Romanian Revolution, over 50000 books being lost. 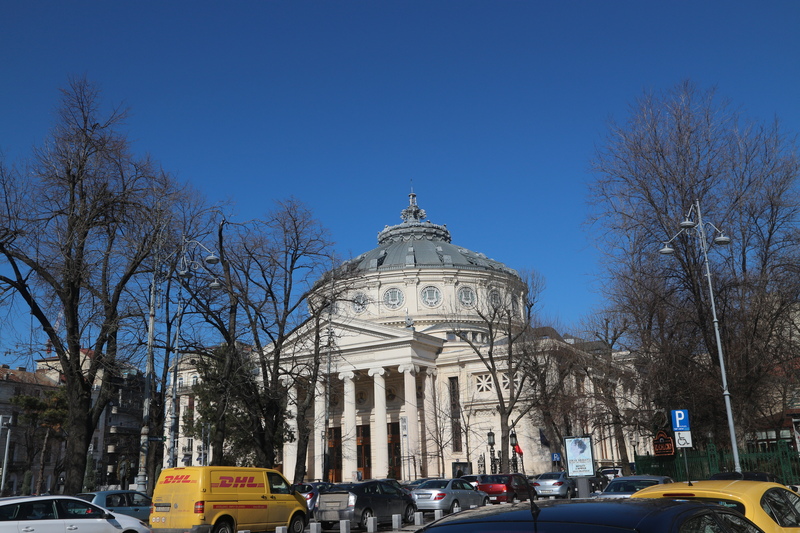 However, this magnificent library has proved that Bucharest is Paris from The East. I loved this superb architecture, and this is my favorite building from all. Bucharest became the preferred residence of rulers. 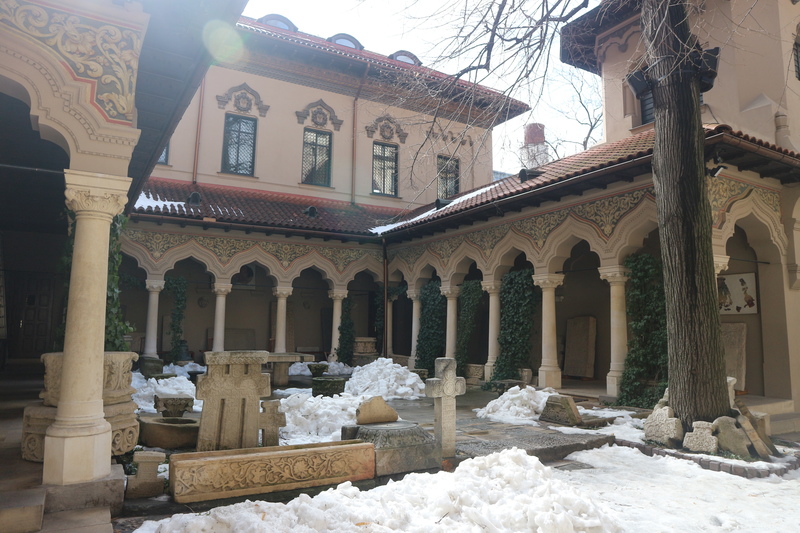 So Vlad III discover and build this building called The princely palace and court (Curtea Veche). He gained prominence as the commercial and religious hub of the city. Nowadays, not much remains of this palace and its grounds other than ruins. 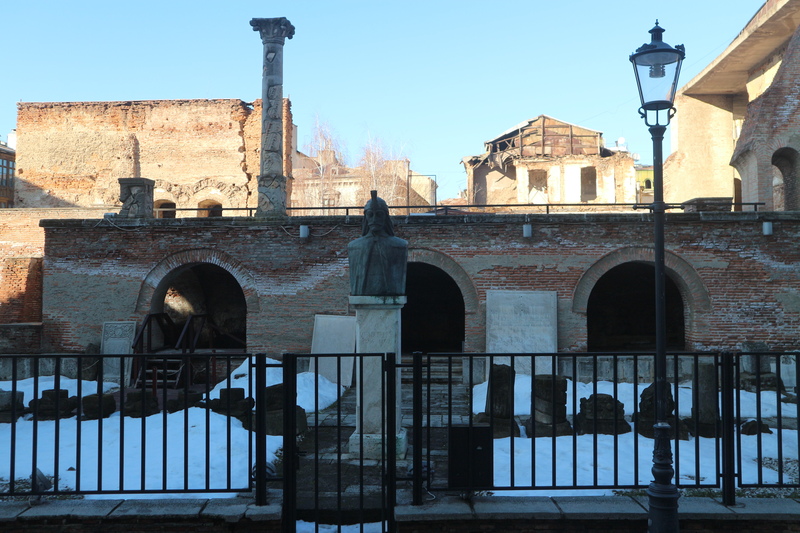 But amidst the broken masonry and old stone arches, like a sentinel, the best of Romania’s most notorious ruler, Vlad III, watching over the old court. But I feel surprised will meet the Dracula in this heart lovely city of The Old Town Bucharest. I think that’s all for my bustling winter adventure throughout Bucharest. I feel happy to this Paris from The East. I hope someday I’ll be enjoyed another Paris from The East in another beautiful place in Europe. In a nutshell, having been to cities like Warsaw, Budapest or Prague (which are all fantastic), Bucharest reminded me of Paris the most. And If you have some comments, don’t forget to comment below. Thank You. I’ve been eyeing Bucharest for quite some time now; not only does it have beautiful buildings that are reminiscent of those in the French capital, but the fact that it was for decades the capital of Communist Romania also adds to the complex character of the city… or at least from what I perceive from the photos I have stumbled upon. 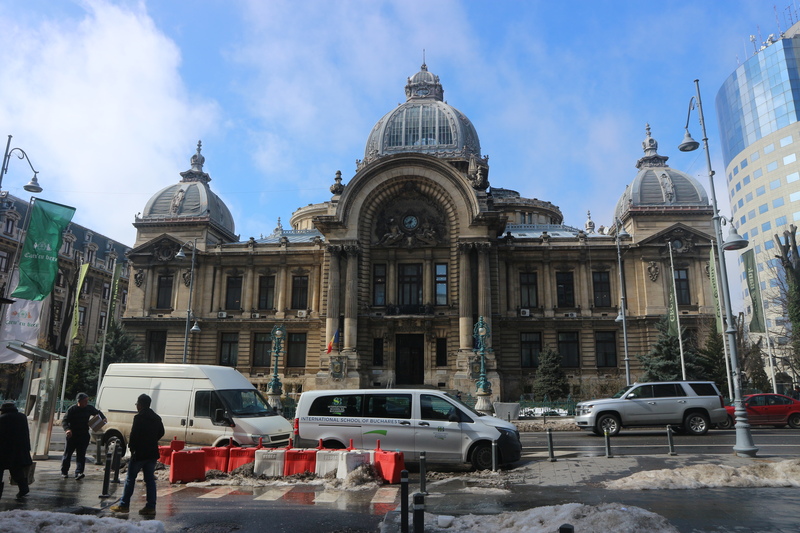 Unlike many travelers do, Bucharest will be my main interest when visiting Romania. 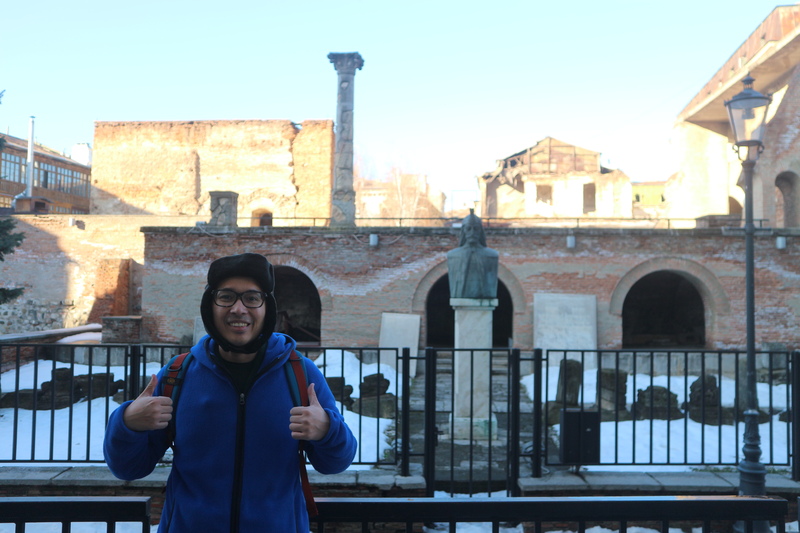 Anyway, I applied a tourism program called #ExperienceRomania this year, but I failed hahaha. 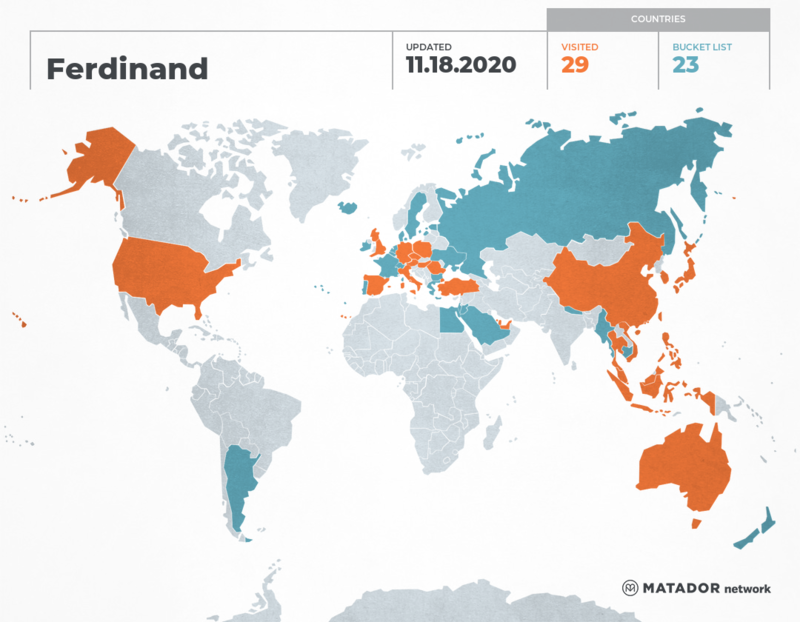 Wow, #ExperienceRomania sounds interesting, should I apply to, let me know then Mas Teguh. Yo are right to choose Romania because in this lovely country is one of the cheapest countries in Europe. 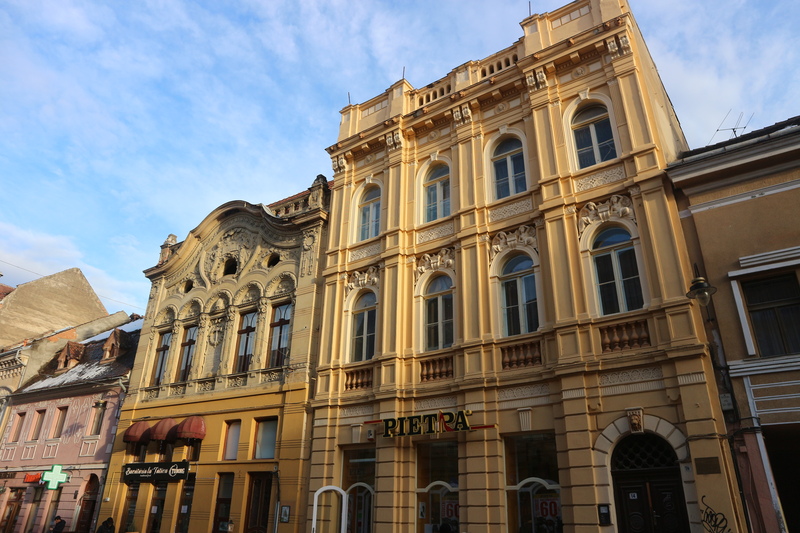 moreover, there also have so many beautiful building and unique culture too. Tunggu tahun depan lagi bro kalo mau ikutan, hehehe. Tahun ini udah closed. sampe keretanya juga ikutan tua!